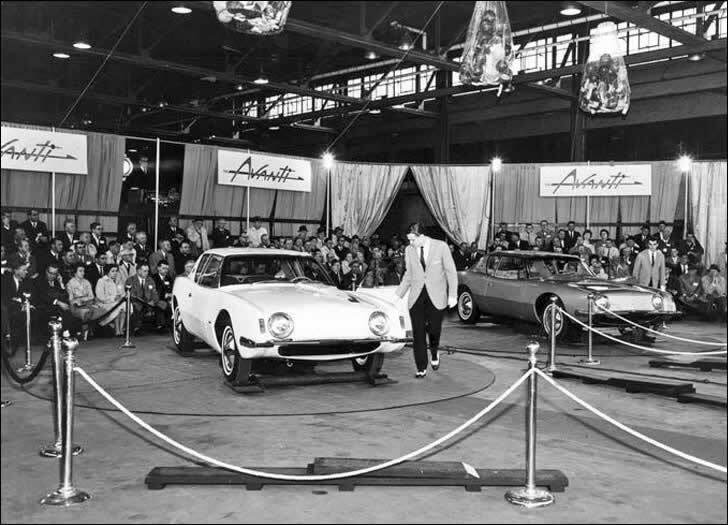 1963 Production - Production of the Studebaker Avanti began in June 1962 and ended in December 1963. Highest production months were January (592) and February (581) 1963. Studebaker produced 4647 Avantis during the production period. 1963 and 1964 models overlapped during August 1963. The primary differences were round to square headlight bezels and revised interiors. 1963 interiors were often 2-toned combining the base color with fawn, a medium beige; 1964 interiors were one color with black carpeting. 63 Avanti production models on display in the Studebaker factory.